Report: Why is There No Palestinian Municipal Council in Jerusalem? While Jerusalem has been declared as the desired capital of a future Palestinian state, and the people are praised for their steadfastness and their condemnation of excavations and storming carried out by extremists, some question whether or not it is enough for the survival of Jerusalem and its people, and ask whether enough is being done on the ground to address the interests of the people. The fact that a municipality does not currently exist makes it difficult for needs and interests to be addressed for the people in Jerusalem, and many blame the Palestinians for their inability to form local leadership to manage the affairs of the people. 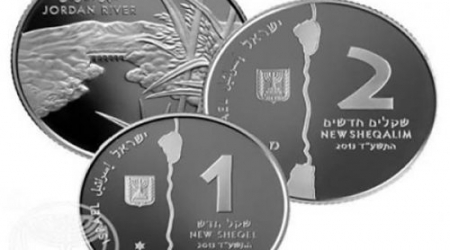 Jerusalem is either seen by many as an opportunity for economic exploitation or it is not considered at all. The reality is that Israeli has clear and concise plans for the city that are manifested on a daily basis, where on the Palestinian side, there is no clear system or organization regarding affairs. Palestinian Advisor to the Presidential Office for Jerusalem Affairs Ahmed al-Rweidi stated that there had historically been a governing body of sorts, called "the Secretariat of Jerusalem" that was operated by Palestinians. However, it was shut down in 1967 with the conjunction of the occupation. Since that time, Israeli law has been applied to all parts of Jerusalem, and the people are subject to the Israeli municipality when dealing with concerns about planning, building, and other issues. Al-Rweidi added that the occupation has denied any Palestinian institution from carrying out duties of any kind in Jerusalem, explaining that 24 official economic, youth, cultural and social institutions were shut down. These included the Chamber of Commerce and various organizations for economic development to prevent any kind of social services from being available to the Palestinians. Al-Rweidi told PNN that Israel fears that a Palestinian municipality is a big part of the national struggle, and is seen as a threat in the pervasive discourse of Israeli occupation and security. Dmitry Dliani, a member of the Revolutionary Council of Fatah, stated that there is voluntary social action occurring via various committees dedicated to addressing certain concerns, but what is needed is one cohesive body that addresses all the concerns through one institution. Dliani commented that thus far, despite the abundance of calls and demands for it, they have not been able to create such an institution. There has not been enough adequate support from officials or the international community, but the idea is still being discussed. Dliani stressed that when they are planning events or making decisions that they must not forget they are under Isareli occupation. He states that it is different in areas like Ramallah or Bethlehem that fall under the Palestinian Authority. Because Jerusalem is overseen by Israel, it makes it much more difficult to create an institution like a municipality without upsetting the Israeli authorities. 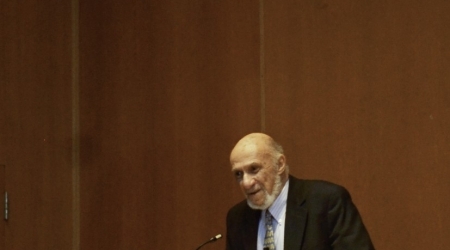 Palestinians should continue to pursue self-empowerment, legal justice and peaceful resistance in their ongoing territorial conflict with Israel, international law professor emeritus Richard Falk said during the 11th annual Edward W. Said ’57 Memorial Lecture. Falk was a close friend of Said, who was both a renowned literary scholar and a leading voice on Middle Eastern conflicts. Falk’s lecture focused primarily on Palestine’s role in the territorial conflict and its ideological evolution. Falk said that Israeli proposals have all included territorial claims that go beyond ”the green line,” the pre 1967 border between Israel and its neighbors, and do not acknowledge Palestinian rights under international law, which condemns the construction of the West Bank barrier in the Palestinian-populated territory. Mutassam, 16, and Yasmeen, 17, pictured at the summit of Mount Kilimanjaro. Two Palestinian teenagers have made history by becoming the first amputees from the Arab world to climb Mount Kilimanjaro in Tanzania. On Jan. 23, Mutussam Abu Karsh, 16, from Gaza and Yasmeen Najjar, 17, from the Nablus village of Burin completed a demanding eight-day journey to the peak of Africa's highest mountain. The Climb of Hope was organized by the Ramallah-based Palestine Children's Relief Fund to raise awareness of the plight of children injured in conflict zones in the Middle East, and to raise money to provide medical care to Syrian children wounded in the country's ongoing war. Traveling in a group of 12 led by Suzanne al-Houby, the first Arab woman to climb Mount Everest, Mutassam and Yasmeen braved extreme weather conditions to climb 5,895 meters to reach the Uhuru Peak, which in Swahili means freedom. 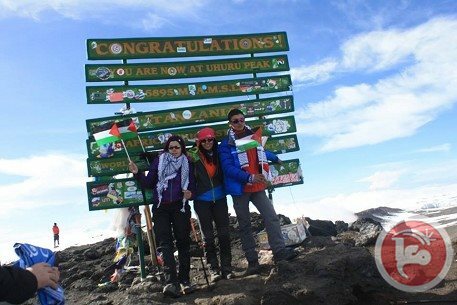 "I am proud we were the first to carry the Palestinian flag to the summit of Mount Kilimanjaro to help other children, and I want to show that we can do anything despite our injuries," Mutassam said after the climb. "It's the first time that I have felt truly free, no walls, no borders, no checkpoints and soldiers." In 2006, Mutassam lost his left leg and part of his hand after an Israeli tank shell exploded while he was playing football in the northern Gaza Strip. Following treatment by the PCRF in the United States and Dubai, he was fitted with an artificial leg below the knee and had reconstructive surgery on his hand. Yasmeen, 17, had her leg amputated at the age of three after being struck by an Israeli army vehicle while playing outside her home in the Nablus village of Burin. She had to cross several Israeli military checkpoints to reach the nearest hospital and by the time she arrived her leg could not be saved. PCRF provided treatment for her in 2005 in the United States, and again in Dubai and Jerusalem. "The most beautiful moment was when we reached the peak. It was a very exciting moment, I enjoyed it a lot, it was unforgettable," she said in a video after completing the trek. "I climbed Mount Kilimanjaro because I want to inspire other young Arabs to think that no matter what happens, you can do anything you want in your life." The climb raised over $120,000 through corporate and individual sponsors, which will go toward treating injured Syrian children as healthcare facilities continue to deteriorate under the strain of war, PCRF president Steve Sosebee, who also participated in the climb, told Ma'an. "They (Mutussam and Yasmeen) represent the true spirit of kids in the region who have had to overcome physical, political or economic circumstances to live a normal life," he told Ma'an. "When both kids had a taste of freedom in Africa it empowered them to use this experience to overcome their disabilities." Despite overcoming enormous physical and psychological barriers to complete the climb of Africa's tallest mountain, politics nearly prevented Mutassam from arriving in Tanzania to begin with. On the day he was due to leave Gaza for Africa, Egyptian authorities closed the Rafah crossing, meaning his only option was to travel via the Israeli controlled Erez terminal. 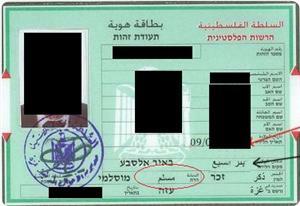 To cross Erez, Israeli authorities require a travel visa in advance, meaning PCRF had to negotiate the UAE's visa process, which is generally restrictive for Gazans. The children's charity also had to apply for permission from Jordan to cross the Alleby Bridge before leaving Gaza. After passing Israel's security check at the Erez crossing, with the help of President Mahmoud Abbas' office, Mutassam crossed into Jordan on the last available bus and managed to fly to Abu Dhabi. He then flew to Doha and finally arrived in Dar es-Salaam, although his luggage was lost and only arrived three days later, after the climb had already begun. On his return journey to Gaza, Israeli authorities prevented Mutassam from crossing the Qalandiya checkpoint despite having obtained authorization in advance. After two days of being prevented from traveling, and with pressure from Abbas' office, Israeli forces finally allowed Mutassam to cross the military checkpoint and return home. Sosabee says that both teenagers are more confident following the climb and are taking on the responsibility of becoming leaders and ambassadors for other children who have been injured in conflict zones. "They are representing the true spirit of Palestinian kids and carrying a message of hope for kids all over the Middle East who are like them, not disabled, but 'abled'". "The goal for them is to continue to be a role model and source of inspiration for other kids, to show that despite their physical disabilities they can overcome them and achieve their dreams in life. A member of Fatah's Executive Committee has said that his movement refuses to accept the return of ex-official Mohamed Dahlan, Al-Quds Al-Arabi has reported. Jamal Moheesin called upon the Arab countries which are trying to mediate between Fatah and Dahlan to put an end to their efforts. 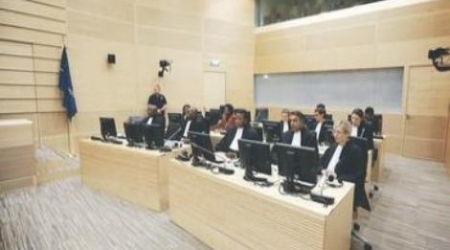 He did not mention which countries he was referring to and denied any real internal or external efforts to rehabilitate Dahlan within the movement. "This issue is absolutely out of the question for Fatah," Moheesin told the London-based newspaper. 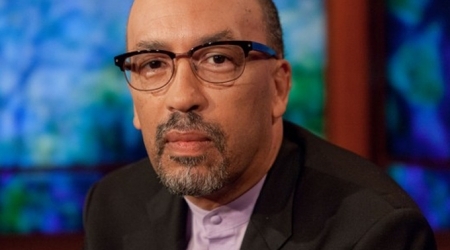 "It is an internal issue and no one is allowed to interfere." He added that any person who tries to take control of the movement with support from external powers will not succeed. Fatah, he insisted, does not interfere in the internal affairs of Arab countries, so they should keep out of Fatah's affairs. Regarding internal rifts, the senior leader said that his movement would get rid of all members affiliated to Dahlan who try to cause divisions within Fatah. "The Fatah Central Committee convened recently and created the means to prosecute anyone trying to form internal blocs," he said, "regardless of whether or not these blocs are linked to internal or external groups." Moheesin described Dahlan, who has been living in Abu-Dhabi since he was sacked from the movement in 2011, as an "outsider". He pledged that any Fatah member who works for his interests would be fired after due process. While admitting that there are some Fatah activists in the Gaza Strip close to Dahlan, including parliamentarians and members of the Fatah Revolutionary Council, he insisted that the movement is solid in Gaza and the renegade Dahlan has failed to penetrate it. It is worth mentioning that a number of the Fatah officials who have recently returned to Gaza were once close to Dahlan. After they started to reform the movement, Fatah leader Mahmoud Abbas dispatched senior leaders, including Nabeel Shaath, to stop them. According to a report published by local newspaper Al-Resala, Shaath and his colleagues started this work but left the Gaza Strip after assassination threats by Dahlan's accomplices. Mahmoud Abbas and MK Hilik Bar arrive for a meeting with Jewish students on Feb. 16, 2014. The erratic behavior of Palestinian Authority (PA) Chairman Mahmoud Abbas of late raises the eyebrows of many observers. A few days ago, he met with 300 Israeli youths in Ramallah where he sought to underestimate the significance and centrality of the Palestinian refugees' issue. Needless to say this issue is considered the soul and core of the Palestinian question. Unfortunately, Abbas gave his Israeli audience the impression that the problem was not as paramount as they may have thought. He said he was in no way trying to flood Israel with five million refugees. Last year, Abbas told a delegation of rabbis that he didn't want to return to his home-town of Safad in what is now Israel. Following a wave of criticisms, he clarified that he was only speaking for himself, not the refugees. Earlier this week, Abbas issued a hasty decision to remove the religious identification section from Palestinian identity cards. Abbas can't enforce this decision since Israel, not the PA, has the final say in this matter. Some pundits, including PLO supporters, may argue that the president of the PA must be granted a respectable margin of maneuverability, including meetings with Israelis. Such meetings, they argue, are innocuous and may actually enhance the Palestinians' diplomatic standing. None the less, Abbas must always watch his lips very carefully. Even in business, one doesn't reveal all his cards. Besides, core issues such as the right of return are not a bargaining chip. They must not be treated or utilized as a bargaining chip. The right of return is a sacred right that must not been tampered with. It belongs to every Palestinian man, woman and child. In the final analysis, the right of return is more important than the establishment of the contemplated state. One doesn't bargain with one's honor and destiny. And the right of return does represent our honor and destiny. The death of the right of return would simply mean the death of the Palestinian question. This is what Palestinian negotiators such as Saeb Erekat must understand in case they don't. Yes, we have not reached the depravity level of other primitive Arab regimes such as Egypt, Syria and Iraq (due to the resilient vigilance of the people, not the civility level of the PA regime). However, it would only be a matter of time before PA crack police emulate their savage comrades at Rabaa or Damascus if such "incidents" were allowed to pass without the strongest condemnation. protest, especially against Israel, including this stupid normalization with the occupier of our land and tormentor of our people, is a sacred right. Therefore, the PA leadership must educate its police officers that the time when a police officer or soldier could abuse, bad mouth let alone beat a citizen has long gone. Indeed, his security establishment was founded to serve the citizen, not abuse him or her. There are always those who would argue that we are not in Sweden or Switzerland. Well, but what prevents us from emulating even the most civilized countries on earth. We are mostly Muslims and Islam teaches us the finest and most superb social behavior imaginable. Islam teaches us that even a smile is a form of charity, so imagine the brutal ugliness that comes with abusing or beating peaceful protesters trying to show their displeasure at conceived PA slackness in commitment to durable Palestinian national constants. I am decidedly against flagrant incitement and provocative conduct that could lead to violence, but this is not a one-way street. 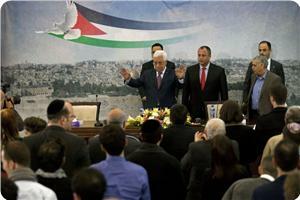 The PA must realize that a policy based on fear will not breed respect, security and stability. Such a stupid policy has long been tried in neighboring Arab countries. And the result has always been a gigantic fiasco. Just take a look on Syria and Egypt. Hence, we must not imitate failed Arab states lest we lose our souls and our cause. The head of Fatah's reconciliation delegation will not travel to Gaza to discuss unity talks until Hamas agrees to hold elections, a Fatah official said Tuesday. 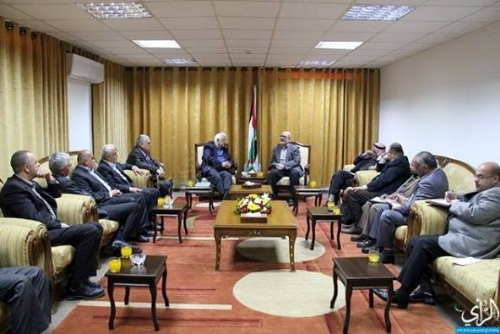 Amin Maqboul, the secretary-general of Fatah's revolutionary council, told Ma'an that Azzam al-Ahmad "would not travel to the Gaza Strip before we receive official notification confirming that Hamas has agreed to general elections and a national consensus government." Once official confirmation is received al-Ahmad will go to Gaza to reach an agreement on practical steps for implementation. Hamas has been procrastinating and maneuvering through media outlets to avoid talks, Maqboul added. Representatives of various Palestinian political parties held a meeting last Thursday in Gaza to discuss negotiations and national reconciliation. The division between Fatah and Hamas began in 2006, when Hamas won the Palestinian legislative elections. Palestinian officials have filed an urgent request with UNESCO to receive World Heritage status for a West Bank village whose ancient terraces are under threat from the Israeli separation barrier. The request to put the agricultural community of Battir on the UN cultural agency's list of protected sites was filed earlier this month, a village official said on Sunday. "We applied 15 days ago and we heard today that they have accepted (to consider) our application," said Mahmud Abu Arab, a member of Battir's village council. "They will send a delegation to check the area," he told AFP, without saying when the visit would take place. Battir was added to UNESCO's tentative list in 2012, and the UN body will vote on the application to upgrade its status in June. Battir, which straddles the Green Line just south of Jerusalem, is famous for its ancient terraces and Roman-era irrigation system which is still used by the villagers for their crops. But the village has come under threat from Israeli plans to erect part of the West Bank separation barrier there, which experts say will irretrievably damage the water system. 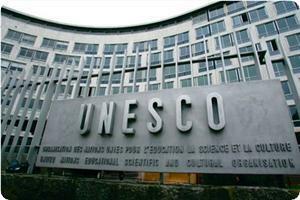 The Palestinians won membership in UNESCO in October 2011 and quickly moved to submit a number of sites for recognition, including an emergency application for Bethlehem's Church of the Nativity which was approved in June the following year, despite Israeli objections. Battir residents are currently locked in a high-profile court battle to change the route of the barrier, which is being led by Friends of the Earth Middle East and supported by Israel's Nature and Parks Authority. The Palestinian government in Gaza strongly denounced the decision taken by de facto president Mahmoud Abbas to remove religious affiliation from identity cards and accused him of paving the way for Kerry's framework plan. Political advisor to the premier Taher Al-Nunu said such step by Abbas is aimed at preparing the way for the execution of Kerry's plan which demands the Palestinian authority (PA) to absorb Jewish settlers into the Palestinian society as binational citizens of its proposed state. Nunu stressed that the Palestinian people would not accept such situation or allow Abbas to cede an inch of their land. Deputy minister of the PA interior Hassan Alawi had stated in press remarks that Mahmoud Abbas had issued a decree to remove the religion section from Palestinian IDs as of February 11, 2014. A delegation from the Central Election Committee (CEC) headed by Chairman Hanna Nasir, CEO, Hisham Kuhail and Deputy CEO, Ashraf Shuaibi visited Gaza last Thursday and held a series of meeting with officials there. The meetings discussed the annual registry update process which the CEC intends to conduct next month in both the West Bank and Gaza Strip which will target youth who turned 17 years since last update. Officials expressed their willingness to cooperate with the CEC to achieve this mission. In another context, the delegation met with CEC Commissioners in Gaza to update them on CEC current and foreseen activities for the coming period, i.e. the upcoming registration drive and awareness projects. “Those violent crimes are against humanity. They did not motivate the motionless peoples, especially the ones who lack human sense, and who intentionally neglect Muslims until their complicity became concomitant stigma.” he pointed out. 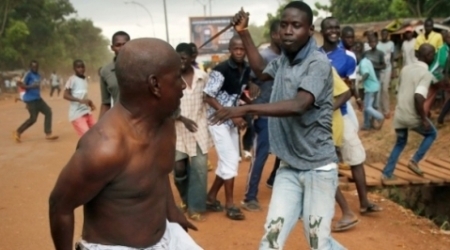 Christian militiamen, known as anti-balaka, and mobs of Christian civilians have carried out public executions against Muslims on a nearly daily basis. They killed thousands of Muslims and mutilated and dragged their bodies through the streets or set them on fire. As hoards of excited fans scramble to reach Arab Idol winner Mohammed Assaf, they are pushed back by a group of tough-looking men in shades -- the face of Gaza's first private security firm. Guarding the young singer on a rare trip back to his hometown is the very first assignment for "Secure Land," a newly-formed team of bodyguards whose mandate covers everything from minding VIPs, securing hotels and businesses to ensuring the safe delivery of cash in transit. "This is our first day on the job and we are securing Arab Idol star Mohammed Assaf," Secure Land's executive director Bilal al-Arabid told AFP. "We have a team of 18 people protecting him, not including the drivers. This is our first mission protecting such a personality." 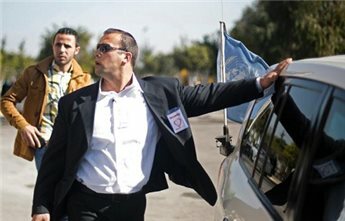 As Assaf drove up to Palestine University in a UN car, his Secure Land minders followed in their own vehicle, a white-and-red company logo plastered to the door: "Secure Land. We make it happen," it reads, all in English. It's a family business and Arabid's father, Abdel Kader, serves as its chief executive. "We thought seriously about this service after we talked to institutions, companies and people, and found they accepted the idea because this sort of service is just not available in Gaza," the father said. But getting a permit to operate such a business from the Hamas-run government was not easy -- largely because none of the employees belong to any of Gaza's many armed factions. "The permits for the business were late coming because of the 'sensitivity' of the issue," he said, explaining it was the first time that Hamas had allowed such a company to operate. In Gaza, Hamas does not allow private individuals except in special rare cases to carry arms -- unless they are a card-carrying member of one of the factions. By taking over the protection of many civilian institutions, Secure Land can even help to "ease the burden" on the Hamas police and security forces, because such operations "demand a lot of manpower," Arabid said. Inside one of Gaza City's handful of sports centers, dozens of sweaty men -- young and not so young -- are put through their paces in various martial arts and other exercises to stay in shape for the job. "I used to serve in the Qatari army and I do Taekwondo so this job is good for me," said 40-year-old Hassan al-Shourbaji from the northern Gaza town of Jabaliya, who serves as a group leader. "We have received high-quality training and we are experienced in martial arts, and I also have my personal experience with weapons due to my military training," he told AFP. "This is the first company in the Gaza Strip that is not affected by security complications. It's a private company and has no affiliation to any Palestinian faction," he said. So far, the firm has 40 employees who have trained for two months to prepare for the job. As well as physical training they have also been instructed in the use of light weapons by a specialized trainer at a local shooting range. Arabid said most of the men are fairly fit from doing sport, but they also receive more fitness and security training from the company. "We focus on individual capacity and give our utmost attention to fitness, and things like the ability to run, to jump, to evacuate VIPs and secure them," explained trainer Ahmed Yusef, saying they also instruct the men in decision-making. 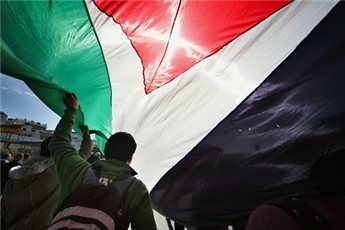 For some international groups, the appeal of a private firm is that it allows them to side-step the politically tricky need to interact directly with the Hamas administration, which has been boycotted by most Western governments since it forcibly took over the Gaza Strip in summer 2007. "Some international organizations and private companies in Gaza which have international ties are sensitive and do not like dealing with the Hamas police because of the international boycott," Yusef explained. "And some independent international figures prefer bodyguards from a private firm to avoid (political) embarrassment." But their role doesn't clash with that of the Hamas forces, it's more of a complementary arrangement, he said. "It's internationally recognized that governments have to protect public institutions, while private institutions -- like banks and tourist facilities and hotels -- get private companies. "We will work together with the government." “It felt like being in a huge prison.” That was how I responded to questions I was asked in January after returning from a visit to the Occupied Palestinian Territories. Yes, there were other ways of describing the experience. The land is beautiful; the people are generous; and with every glance, one sees reminders of a history dating back thousands of years. Yet, the feeling that one gets in one’s stomach is of being imprisoned; of being vulnerable; of not knowing. And this was the reality felt by African-American visitors to the Holy Land. The actuality for Palestinians is far worse. At every turn you never seemed to lose sight of the ignominious “separation wall,” as the Israeli government politely references it; the “apartheid wall” as much of the rest of the world describes it. The wall with guard/sniper towers, running, not along the Green Line (the armistice line that was agreed upon in 1949), but through almost whatever terrain the Israelis choose for it go. A wall that frequently separates Palestinian farmers from their own land, making it next to impossible for them to consistently cultivate their crops. My delegation and I found it both frightening and sadly familiar that the Palestinians had few rights that the Israeli authorities were bound to respect. Land has been seized—illegally–by the Israeli authorities, allegedly for security reasons, or sometimes, quite ironically, for archeological reasons. And it is never returned to the Palestinians, instead turned over to Israeli settlers.